That pesky sun! Vampires, especially Count Dracula, know all about the perils of dealing with that bright sun. For us normal humans, too much sun can irritate the eyes and make it difficult to see through all the bright rays. But for vampires? Well, they need protection or the sun might turn them into a pile of ash. That's why you know you can trust these Dracula Sunglasses to help keep the sun out of your eyes. They're vampire approved after all! 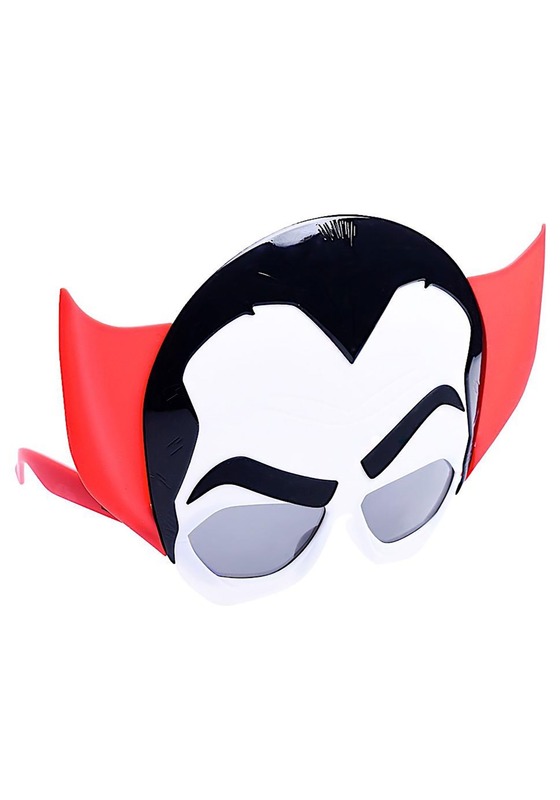 If you're looking for a new way to protect your eyes from the sun, then these Dracula Sunglasses are the way to do it! The lenses are shatter-resistant and feature a smoky tint that helps keep the sun's rays from your eyes. The lenses also have UV protection, so even a vampire can breath easy knowing that their eyes are protected! The frames of the shades are designed to look like Dracula's face from the classic Universal movies. Just toss them on and you'll even look like a vampire as you protect yourself from the sun. Whether you're a vampire lord, or just a lowly human, protecting your eyes from the sun is important business! 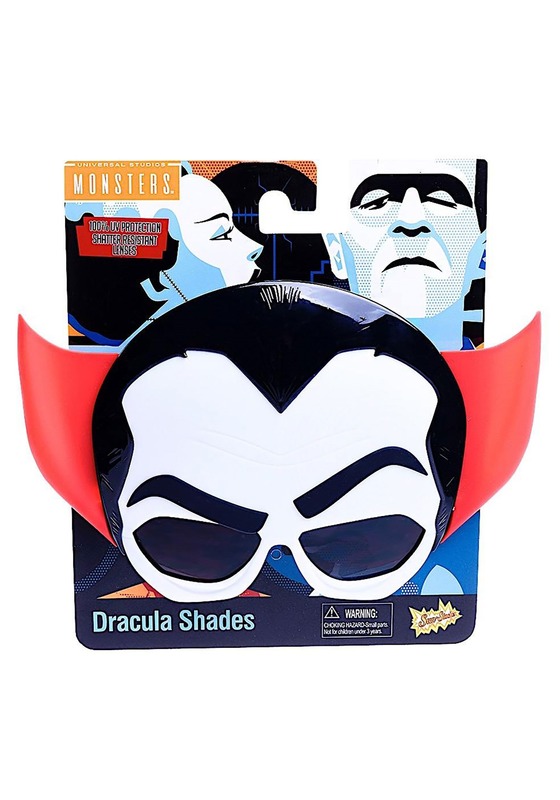 These Dracula Sunglasses do it movie monster style!